It has been a busy month for LATINNO! 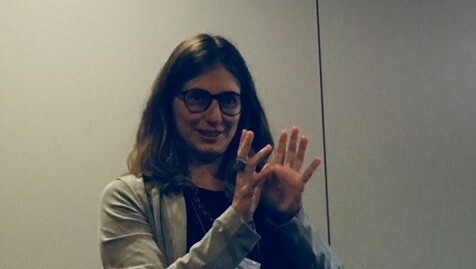 While continuing to update our database with new cases of democratic innovation in Latin America, we shared our results at the International Congress of the Latin American Studies Association in Barcelona and exchanged some insights regarding digital participation at the #Innovapol debate "The Limits of Political Innovation.". 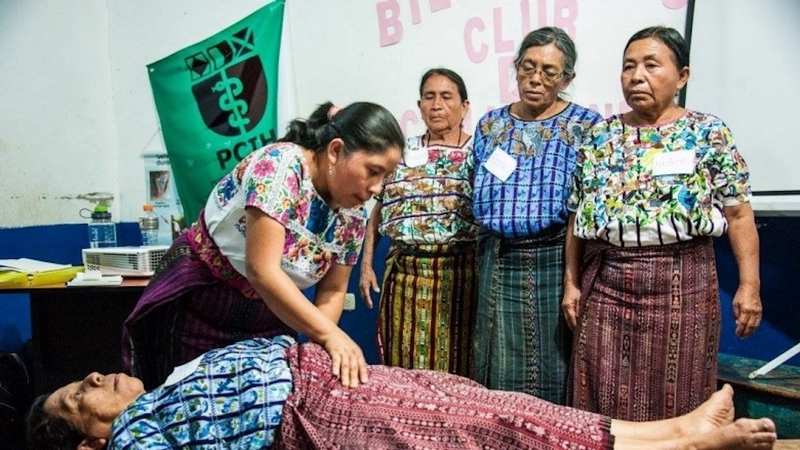 In this newsletter, we will focus on the participatory innovations that aim to create more inclusive processes within local and national healthcare systems in Latin America, specifically, those that strengthen the provision of services for underrepresented groups such as women and indigenous populations. 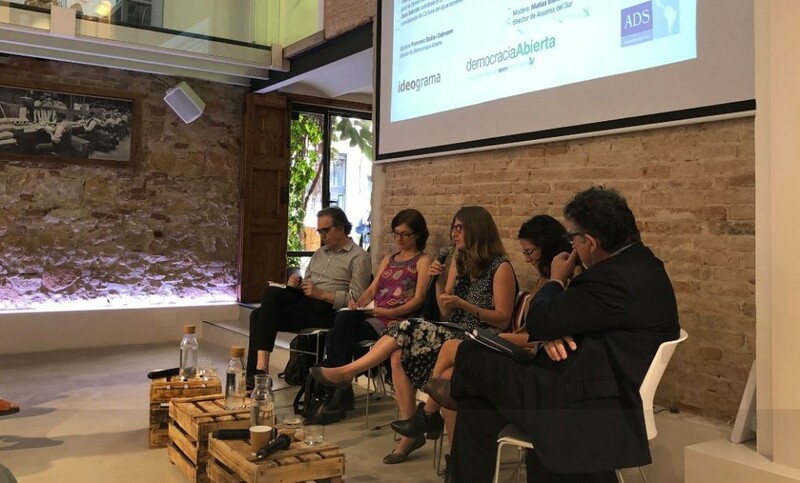 On May 24th, LATINNO's coordinator Thamy Pogrebinschi participated in the #InnovaPoldebate regarding the limits of political innovations and shared some of the project's insights on digital innovations in Latin America. She explained how digital spaces increase the number of channels of communication between citizens and the State, improve representation, and strengthen citizens' oversight capacity. At the same time, she showed how digital means can be subject to manipulation and distortion, are weakened by its lack of institutionalization, and are often not sustainable. The debate was organized by Ideograma, Open Democracy / Democracia Abierta, and Asuntos del Sur. 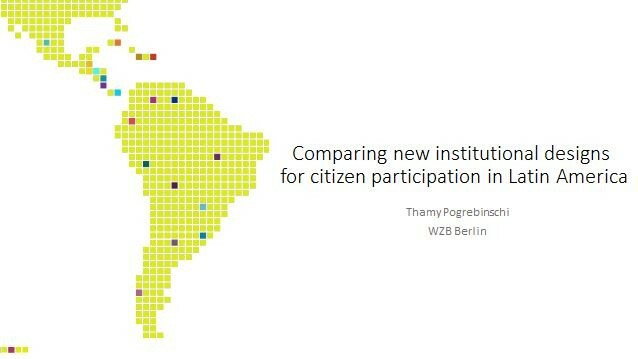 On May 25th, during the LASA Conference in Barcelona, LATINNO's coordinator Thamy Pogrebinschi shared some of the project's findings regarding new institutional designs for citizen participation in Latin America. She presented a typology of democratic innovations that comprises 23 institutional designs, which can be classified across four means of citizen participation: deliberation, citizen representation, e-participation and direct voting. The LATINNO project is built upon the idea that the inclusion of citizens in the policymaking process and the institutionalization of citizen participation could address the shortcomings of representative democracies. Our database has identified more than 2,500 spaces of political experimentation in 18 countries in Latin America. A significant amount of these democratic innovations engage in the ideation, implementation, and evaluation of social policies related to health. Some examples include but are not limited to Bolivia's Local Health Committees, which are responsible for promoting the participation of the community or neighborhood in decision-making processes related to health; Brazil's National Conferences on Indigenous Health, participatory spaces for the government and the civil society to formulate public policies that promote indigenous health within the scope of the Unified Health System; and Costa Rica's Hospital without Walls, which strengthens health committees and trains hundreds of non-medical volunteers, who play a key role in advancing health literacy. The Inclusive Model of Health has been implemented in Bolivia, Peru, and Guatemala, the countries with the highest percentages of indigenous populations in the region. It challenges the WHO framework and the neoliberal turn of the public healthcare system. It works by creating community-level spaces for dialogue, horizontal forms of communication between public and traditional healthcare providers. It aims to develop non-hierarchical relationships between health practitioners so that they become each other’s points of reference. 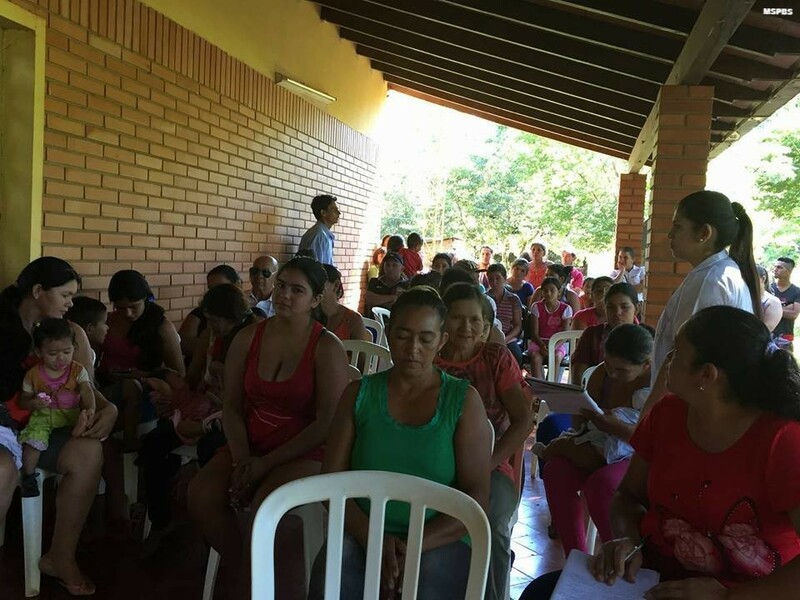 The community meetings, or "Aty Guasu" in Guarani, are organized by the Family Health Units (USF) in different parts of the country. They are carried out by teams of professionals from the medical sector, using an integral and community-based approach for the prevention and treatment of diseases and health surveillance. In addition, they are in charge of organizing meetings with community members and local authorities, seeking to promote participation and improve the quality of life of the community by strengthening the provision of health services. "Bájale al Acoso" (lit. Stop with Harassment) is a platform implemented by the local government of Quito, which enables citizens to report cases of sexual harassment in public transportation by sending an SMS with the word "harassment" and the bus ID to the authorities. Each report immediately activates a response mechanism that notifies the driver, who activates an alarm inside of the bus. Then, the Stop with Harassment's Brigade gets in touch with the victim within a maximum of 3 minutes, giving that person alternatives to file a complaint and receive protection. In the next stop or station, the Metropolitan police and a transport comptroller wait for the victim in order to offer their support. Since its implementation in 2017, this collaborative platform has received more than 1,500 complaints of sexual harassment, 43 of which have been taken to court and have lead to 10 guilty verdicts. Today, authorities are aiming to expand this service to districts outside of Quito.